2017 was an amazing year for Shapur Indian Restaurant, culminating in being recognised as serving the best curry central London has to offer. The team here have been on a wonderful journey, all beginning with our rebrand and refurbishment. After many years as Sitar, we decided it was time for a change. Working with a team of designers and developers, we transformed Sitar into Shapur Indian Restaurant. We were really happy with the response; a fresh start with a new look and a totally refurbished interior. Of course, one thing that remained the same was our renowned food; classic Indian recipes and unique specialities. Only a few months after our rebrand, we received the wonderful news that Shapur had been nominated for a Curry Life award. This nomination was the result of months and months of hard work by the team at Shapur, always striving to raise the bar for quality Indian food with every dish we create. We were overwhelmed. 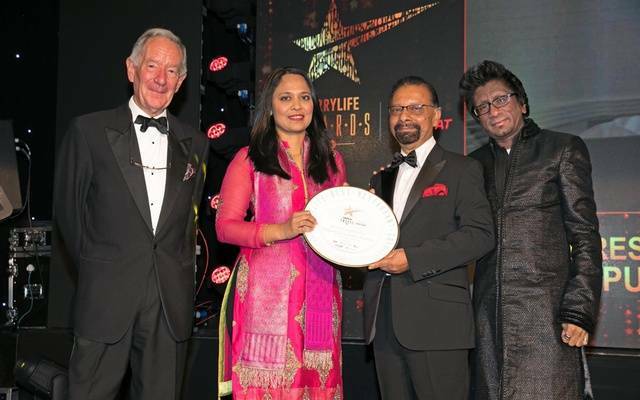 The Curry Life Awards, presented by Curry Life Magazine in association with leading takeaway app Just Eat, are the foremost awards for Indian cuisine in the U.K. If you’re not familiar with Curry Life magazine, it is considered the premiere voice of the curry industry in Great Britain, with an audience of over 100 000. Shapur Indian Restaurant was nominated alongside 14 other Indian restaurants, all considered to be amongst the best in Britain. We were, of course, honoured to be recognised as being amongst the top 15 Indian restaurants in the U.K.
2017’s awards ceremony took place at the Royal Lancaster Hotel in London on the 22nd of October. The ceremony was streamed live on YouTube and those of you who were watching will already know that Shapur won an award, where we were recognised as the ‘best Indian restaurant in central London’. Winning this award is a real honour for Shapur. It cements many years of hard work creating the best Indian dishes possible for our guests. We would like to offer our most sincere gratitude to our customers for voting for us at the awards and also to our staff, for their continued hard work over the years. None of this would have been possible without your love and support. If you have not yet visited Shapur Indian Restaurant and would like to find out more about what makes our cuisine so special, get in touch today. Our private function room is available with no hire fee, we ask for only a £5 deposit per diner. You’ll find our restaurant on The Strand, ideally located just next to Somerset House, perfect for a pre or post theatre meal. Pop in to experience the best curry central London has to offer for yourself, you’re sure to be delighted. You can find out more about our win on YouTube or take a look at the official press release below. The Shapur Restaurant at the Strand, Central London has been voted as the best Indian restaurant in Central London at the annual Curry Life Awards. Founder of Shapur, Mr Syed Khan picked up the coveted award in front of an audience of more than 600 people at a gala event in London’s Royal Lancaster Hotel hosted by Journalist and Broadcaster, Michael Buerk. Mr Khan, proud owner of Shapur, said: “It’s great honour to be recognised and I would like to thank my team for their hard work and our customers who’ve inspired us to keep improving and experimenting. 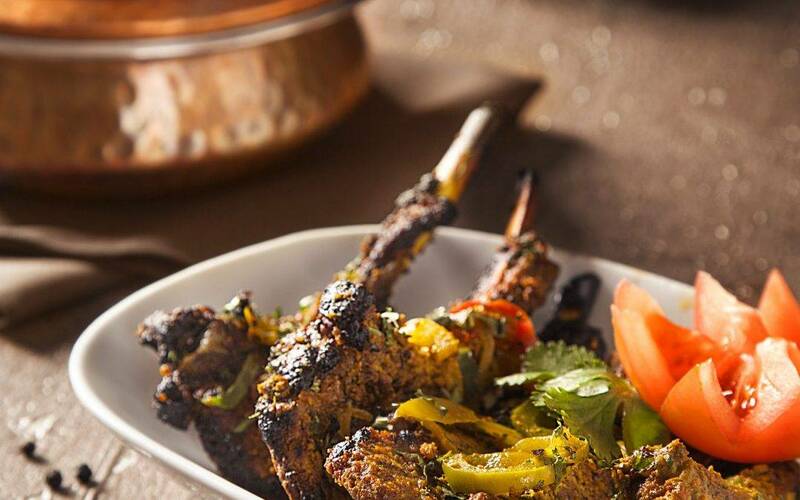 Khan, added: “Diners have a real appreciation of Indian cuisine nowadays and aren’t going to settle for second best. I’m just happy that I have contributed towards curry being the British national dish. The Curry Life Awards and Gala Dinner celebrated our ‘official’ national dish ‘Chicken Tikka Masala’ giving visitors the chance to find out more about an industry serving 2.5 million customers a week, generating revenue of £4.2 billion a year. This year awards ceremony recognised the best 13 best curry restaurants and 19 curry chefs in the UK, 4 best curry takeaways, an European best curry restaurant, lifetime achievements award for a restaurateur providing dedicated services to the Curry Industry for over 50 years and International Honour Award for a successful female chef from India. Chief Guest at the ceremony Sir Keir Starmer MP, Shadow BREXIT Secretary, said: “The curry industry makes a huge contribution to the economy and is an integral part of the UK dining experience. 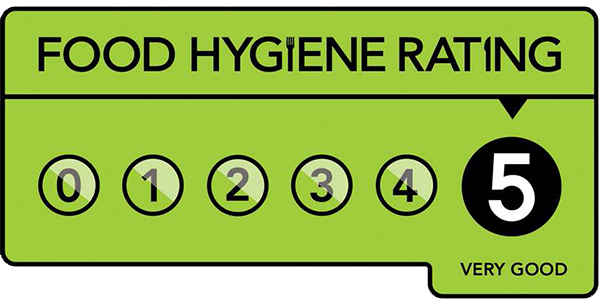 “It’s been through some tough times but has continued to grow and develop to meet the growing appetite for this cuisine. Curry Life Awards and Gala Dinner was organised in association with the takeaway food ordering app, Just Eat. Mr Graham Corfield, Managing Director of the Just Eat, said: “There is no doubt that curry is one of the nation’s favourite food and behind the great tastes of curry, are great craftsmen. We are all in an awe of what the chefs do and I applaud them for producing some of the most exotic food in the world at the cheapest prices. “Those chefs and restaurants have been awarded by Curry Life, deserves to be congratulated for their hard work and achievements,” he added. The Curry Life Awards celebrate the unique fusion cuisine of Indian food in the UK and is part of a wider organisation that organises the British Curry Festival around the world. The awards and festival are organised and hosted by Curry Life Magazine, whose Editor Syed Belal Ahmed, said: “The UK’s curry chefs serve up millions of meals a year and still find the time to innovate and create new dishes. Other guests at the event included: Lord Karan Bilimoria, founder and chairman of Cobra Beer, Rushanara Ali MP, Rehman Chisti MP, Matt Western MP, Paul Scully MP and Virendra Sharma MP. More then £3,000 was raised on the evening for the Disaster Emergency Committee (DEC) Myanmar Appeal. The DEC, which represents 13 of the UK’s leading charities, has been raising funds to support thousands of refugees fleeing torture and abuse and taking shelter in neighbouring Bangladesh. It is with great pleasure and pride that we can reveal we have been shortlisted in the 2017 Curry Life Awards. Out of all of the Indian restaurants in the United Kingdom, Shapur Indian Restaurant has been picked out as being amongst the top 15 with the final winner to be announced soon. We are immensely proud of this achievement and are eternally grateful to our wonderful customers for nominating us. 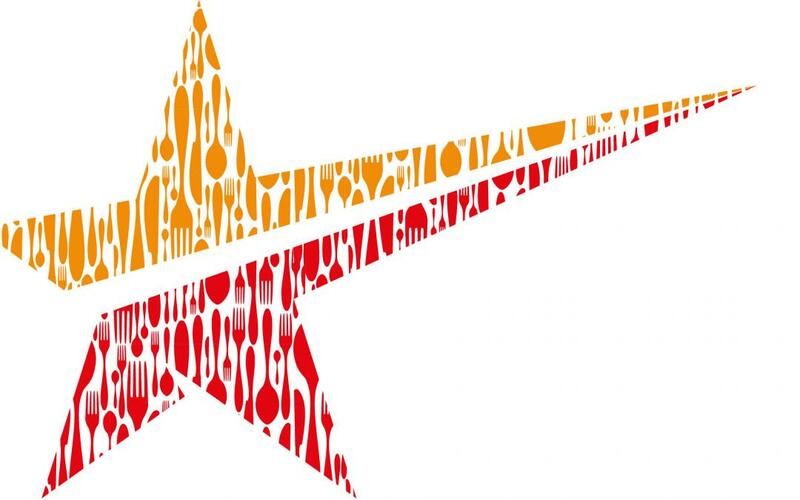 The Curry Life Awards are one of the most prestigious of all awards for Indian Cuisine in the U.K. With previous appearances at Curry Life award ceremonies including high profile figures such as David Cameron, Heston Blumenthal and Alistair McGowan, we’re sure to be in fantastic company. This year’s awards are set to be hosted by veteran presenter Jon Snow and presented in association with leading takeaway app Just Eat. The 2017 Curry Life awards ceremony will be held at the Royal Lancaster Hotel on Sunday the 22nd of October. If you love Shapur Indian Restaurant, then we’re counting on you to help us win! If you pop into our restaurant in the next few weeks, ask our waiting staff for a Curry Life award nomination form. By filling in this form and registering a vote for us you’ll make a difference to our chances of a win. Every single vote helps, so by all means spread the world to your curry-loving friends too. For those who don’t live locally, don’t worry, you can also case your vote for Shapur Indian Restaurant online by visiting this link: https://www.travellink.co.uk/currylife. As a bonus, you’ll also be entered into a free prize draw to win 2 flights to Dubai! Following our recent rebrand we’ve been working harder than ever to create the most outstanding classic Indian dishes we can. Being recognised by the Curry Life Awards is a huge achievement for Shapur Indian Restaurant, our staff are truly honoured. We would like to pass our immense gratitude on to our wonderful customers for the nomination, this would not have been possible without your kind words and support. We hope to celebrate with you on Sunday 22nd of October. In the meantime, don’t forget to pop into our restaurant on The Strand for a reminder of what makes our Indian cuisine so special. If you would like to experience the sensational cuisine that has been recognised, reserve a table today.